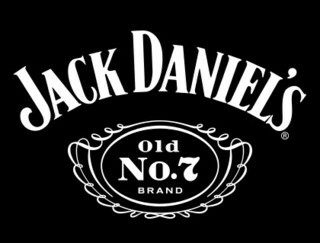 For more than 145 years, Brown-Forman Corporation has enriched the experience of life by responsibly building fine quality beverage alcohol brands, including Jack Daniel’s Tennessee Whiskey, Jack Daniel’s & Cola, Jack Daniel’s Tennessee Honey, Gentleman Jack, Jack Daniel’s Single Barrel, Finlandia, Korbel, el Jimador, Woodford Reserve, Canadian Mist, Herradura, New Mix, Sonoma-Cutrer, Early Times, and Chambord. Brown-Forman’s brands are supported by nearly 4,600 employees and sold in approximately 160 countries worldwide. For more information about the company, please visit brown-forman.com. SAVE On Your Favorite Brown-Forman Brands! Check out the Exchange Savings for February! Find Great Deals At Your Local Exchange! Check Out Great Recipes From Our Brands! Featuring Jack Daniel's Tennessee Honey! The alcohol items featured represent savings at your local exchange store; actual savings my vary by store. You must be of legal drinking age to purchase or consume these products. All brand names, images, and indicia are trademarks of Brown-Forman Corporation and its subsidiaries.